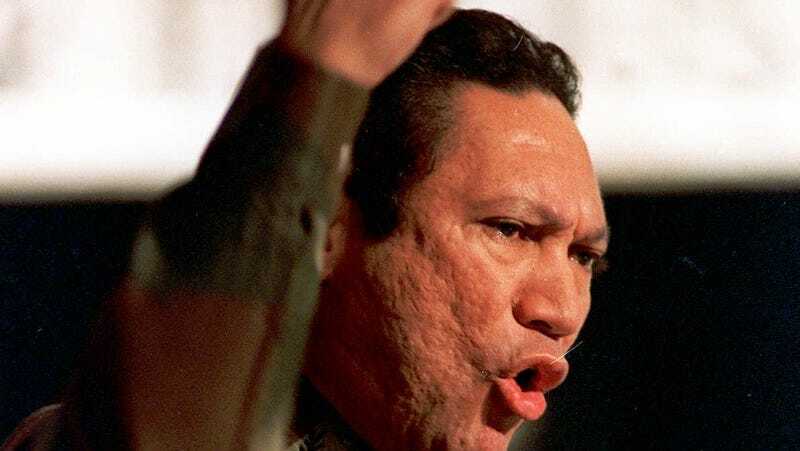 A California judge ruled today to dismiss former dictator Manuel Noriega's lawsuit against publisher Activision for including his likeness in Call of Duty: Black Ops II. The suit, filed in July, alleged that Black Ops II's depiction of Noriega was "blatant misuse, unlawful exploitation and misappropriation for economic gain." Activision fought back hard, recruiting former New York City mayor Rudy Giuliani to help defend them in court. Today, judge William H. Fahey ruled in Activision's favor, dismissing the lawsuit. "This ruling is an important victory and we thank the court for protecting free speech," Giuliani said in a press release. "This was an absurd lawsuit from the very beginning and we're gratified that in the end, a notorious criminal didn't win. This is not just a win for the makers of Call of Duty, but is a victory for works of art across the entertainment and publishing industries throughout the world."